The May 26 Nature Neuroscience online debuts 25 new candidate genes for amyotrophic lateral sclerosis. Researchers found the genes by sequencing the exomes of patient-parent trios. Variations within the genes must have arisen de novo in each offspring, according to the research, because they were not present in either the father or the mother. The same trio technique could offer insights into other conditions such as Alzheimer’s or Parkinson’s, said study senior author Aaron Gitler of Stanford University in Palo Alto, California. The 25 genes perform a variety of functions, but five of them are involved in chromatin remodeling, the process by which proteins unwind or rewind DNA packaging to regulate transcription. The majority of ALS cases are sporadic, meaning they have no known inherited cause. However, genetics are thought to play a significant role in many of those cases. While some genetic variants may act as risk factors, akin to the ApoE4 variant that predisposes people to Alzheimer’s disease, previous screens of people with supposedly sporadic ALS identified de-novo mutations in genes known to cause the disease, including SOD1 and FUS (Alexander et al., 2002; Chio et al., 2011; Dejesus-Hernandez et al., 2010). "I think sporadic ALS is probably largely genetic in nature," said Gitler. To find novel mutations in sporadic ALS cases, Gitler borrowed from studies of autism and other brain disorders (O’Roak et al., 2012; Neale et al., 2012; Sanders et al., 2012). By comparing the exomes of people with autism with those of their two unaffected parents, researchers identified de-novo mutations that correlated with the disease. On average, each person carries about 75 new mutations that arise in the germline of one or the other parent, Gitler said. Of those 75 changes, perhaps one alters an amino acid codon, with potentially disastrous consequences. Could trio analysis identify such changes in ALS patients? Diseases that strike later in life, such as ALS, present a challenge for this type of analysis because one or both parents may have already died. Fortunately, study coauthor Jonathan Glass of Emory University in Atlanta, Georgia, had collected DNA samples from 47 ALS trios being studied at Emory and Johns Hopkins University in Baltimore, Maryland. Glass was able to offer both the DNA and the clinical histories, which he had archived for future studies. First author Alessandra Chesi, of Stanford, and colleagues discovered that the 25 de-novo mutations changed protein sequences in the ALS patients. "We had hoped to find mutations in the same gene in several patients, and that would tell us we were onto something meaningful," said Gitler. However, all 25 mutations occurred in different genes. To understand and potentially link the genes on their list, the authors compared functions of the encoded proteins. Three are involved in neurite outgrowth, which goes off the rails in cell culture models of ALS (Egawa et al., 2012; Kabashi et al., 2010). Five regulate chromatin remodeling, which has been linked to ALS and studied as a potential therapeutic target. For example, a histone deacetylase inhibitor, which loosens the tightly wound chromatin, extends the lives of ALS model mice (see ARF related news story on Yoo and Ko, 2011). The other 18 genes appear to share no common function. The mutation with the most drastic effects on protein structure introduced a termination codon nine amino acids before the proper endpoint of the gene for CREST, a component of a chromatin remodeling complex. CREST has also been linked to neurite outgrowth. A second genetic screen, conducted by coauthor Ian Blair of Sydney Medical School in Australia bolstered the researchers’ confidence that CREST contributes to ALS pathology. Blair identified an isoleucine-to-methionine substitution in CREST in one of 62 Australian families with the disease. However, Gitler cautioned that it remains to be proven if CREST is a bona fide ALS gene. As it happens, Gitler’s Stanford colleague Gerald Crabtree studies CREST, and the two labs teamed up to investigate the effects of the mutation on the outgrowth of neurites, specifically in dendrites. The researchers expressed wild-type and mutant CREST in primary motor neurons grown from mouse embryos. Both the truncation and point mutation mutants blocked dendrite growth and branching. Because these defects reminded the authors of the malformed dendrites in neurons from mice lacking the ALS gene FUS (Fujii et al., 2005), the team wondered if CREST and FUS might interact. 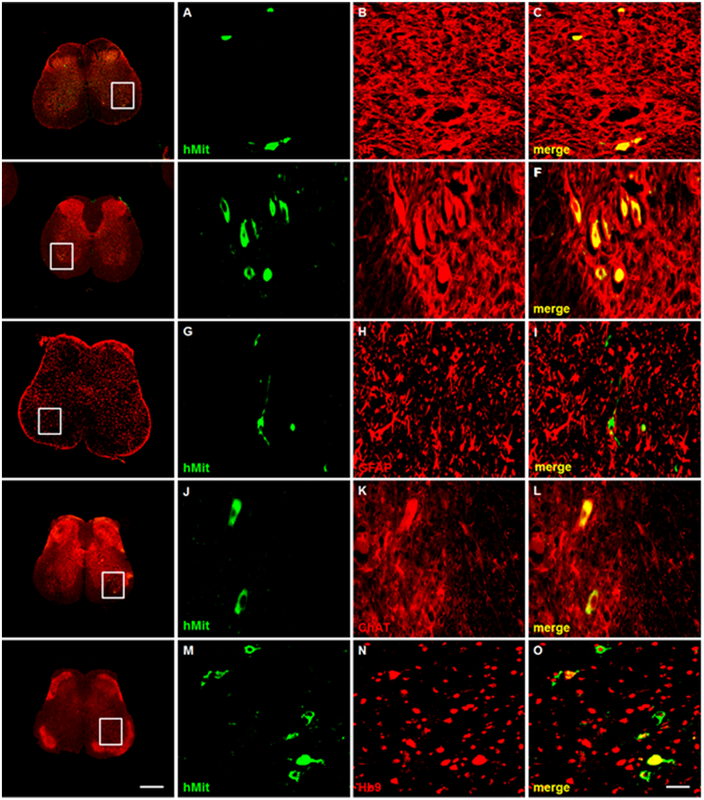 Indeed, immunoprecipitating CREST from mouse cortical neurons also pulled down FUS. The consequences of this interaction remain unclear. How might CREST defects contribute to disease? The mutations may interfere with binding to the transcriptional activator CREB-binding protein (CBP), an interaction that requires the final nine amino acids at the CREST carboxyl terminus that are missing in the termination mutant (Aizawa et al., 2004). CBP is a histone acetylase and coactivator of several transcription factors. FUS and another gene from one of the trios, SRCAP, also bind CBP to co-activate transcription (Monroy et al., 2001; Wang et al., 2008), providing additional evidence that this pathway may be involved in ALS pathology. The other genes from the trios linked to chromatin remodeling encode a histone methyltransferase (EHMT1), a forkhead transcription factor (FOXA1), and a histone deacetylase (HDAC10). Genes for NTM, encoding a cell adhesion molecule, and VCL, a cytoskeletal matrix protein, are involved in neurite outgrowth. Defects in a transcriptional activator like CREST likely have far-reaching effects on many genes, noted Brett Winborn of St. Jude Children’s Research Hospital in Memphis, Tennessee, who was not involved with the study. That CREST acts on chromatin suggests that the first step in the life of an mRNA, its transcription, could be an important site of pathology, he speculated. However, given the late onset of ALS, the mutation’s effects must be subtle, he added. Gitler suggested two possible scenarios that explain CREST involvement in motor neuron degeneration in ALS. First, expression of genes downstream of CREST could be altered early in neurodevelopment, leading to a miswiring of the nervous system that somehow causes problems later in life. Alternatively, CREST may be required for nerve maintenance or repair only in adulthood, when its absence would prove problematic. Gitler said this study marks the first time researchers have applied the trio approach to neurodegenerative disease. "I think it could be applied broadly," he said, even to diseases that strike in older adults. While it may be rare for people with AD or PD to have two living parents, he suspects neurologists could assemble good trio panels if they collaborate. In addition to causative mutations, trios could also be useful in defining weaker risk factors inherited from parents, Winborn said. He speculated that when single, mild risk alleles from parents are inherited together, they may predispose children to disease.